…Two Fridays in a week? Man, do we ever spoil you guys. Having spent the first Friday of the week with our western hemisphere contractors’ “official” fan art, we’ll spend the second Friday of the week with some of our fans across the Pacific. All of today’s excellent pieces come from Pixiv. Juuentei’s portrait of Filia really stood out. Ms. Fortune looks positively malevolent in this great picture by Ichi. This stylish piece by Kometsubu features Parasoul’s bespectacled 2P color. Painwheel alights in this great piece by Utrymme. 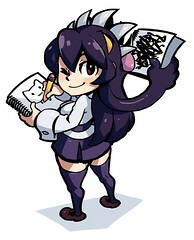 That Ms. Fortune is just… Whoah. 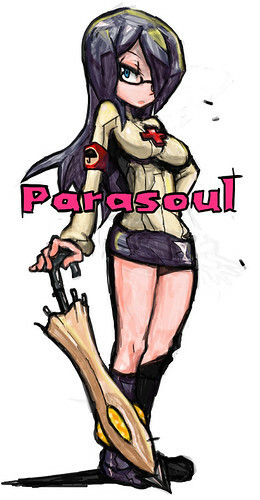 The coloring style used on that Parasoul was fantastic, too!